What changes does GST bring in? Under the GST regime, the tax is levied at every point of sale. 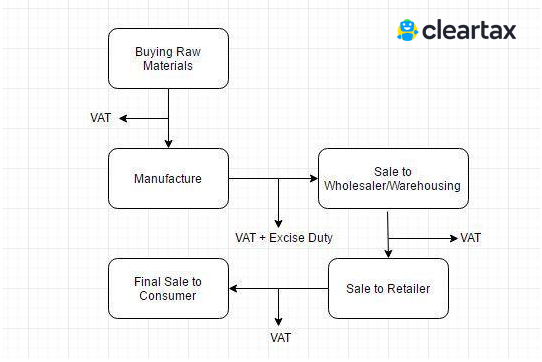 In the case of intra-state sales, Central GST and State GST are charged. Inter-state sales are chargeable to Integrated GST. Goods and Services Tax is levied on each of these stages which makes it a multi-stage tax. The manufacturer who makes biscuits buys flour, sugar and other material. The value of the inputs increases when the sugar and flour are mixed and baked into biscuits. The manufacturer then sells the biscuits to the warehousing agent who packs large quantities of biscuits and labels it. That is another addition of value after which the warehouse sells it to the retailer. The retailer packages the biscuits in smaller quantities and invests in the marketing of the biscuits thus increasing its value. GST is levied on these value additions i.e. 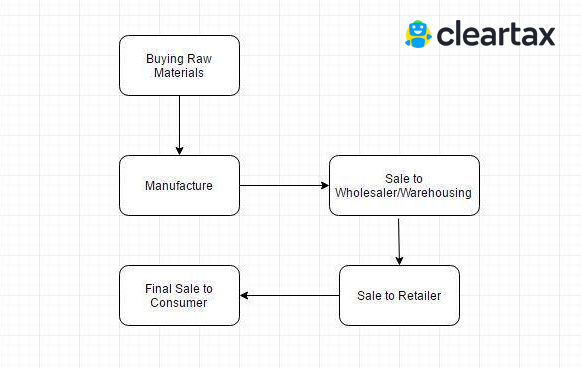 the monetary value added at each stage to achieve the final sale to the end customer. Consider goods manufactured in Maharashtra and are sold to the final consumer in Karnataka. Since Goods & Service Tax is levied at the point of consumption. So, the entire tax revenue will go to Karnataka and not Maharashtra. 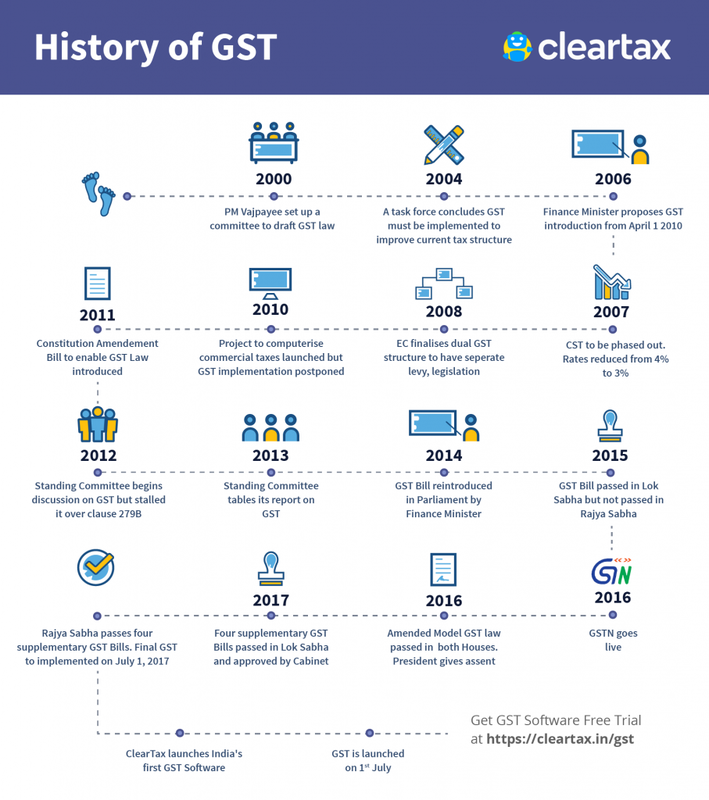 The GST journey began in the year 2000 when a committee was set up to draft law. It took 17 years from then for the Law to evolve. In 2017 the GST Bill was passed in the Lok Sabha and Rajya Sabha. On 1st July 2017 the GST Law came into force. GST has mainly removed the Cascading effect on the sale of goods and services. Removal of cascading effect has impacted the cost of goods. Since the GST regime eliminates the tax on tax, the cost of goods decreases. GST is also mainly technologically driven. All activities like registration, return filing, application for refund and response to notice needs to be done online on the GST Portal; this accelerates the processes. 4. What are the components of GST? In such case, the dealer has to charge Rs. 9,000 as IGST. This revenue will go to the Central Government. The same dealer sells goods to a consumer in Gujarat worth Rs. 50,000. The GST rate on the good is 12%. This rate comprises of CGST at 6% and SGST at 6%. 6. What changes has GST brought in? This indirect tax system under GST has improved the collection of taxes as well as boosted the development of Indian economy by removing the indirect tax barriers between states and integrating the country through a uniform tax rate.